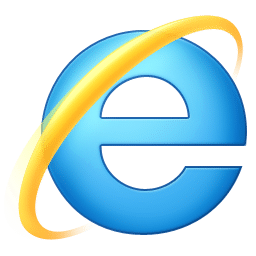 Microsoft Internet Explorer 9 is a popular web browser, which has a streamlined design, fewer dialog boxes to click through, more intuitive navigation. Also it has many new features that speed up your web browsing experience. Internet Explorer 9 introduces pinned sites, a feature with which you can integrate your websites with the Windows 7 desktop. A pinned site is more than just a shortcut, however. Internet Explorer 9 also has an “Acid Test” feature that will let you test the compatibility and compliance of a website. With IE 9, webpages perform and feel more like the programs you use every day on your computer. Hardware-accelerated text, video, and graphics. The new graphic capabilities and improved performance set the stage for immersive and rich experiences. New Tab page. Internet Explorer 9 surfaces the websites you love most and puts them one click away. Once you’re in the browser, the New Tab page helps get you started browsing quickly. 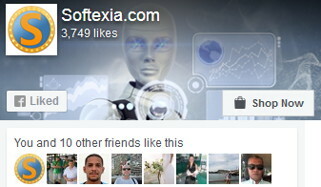 That provides meaningful suggestions and information to help you decide what to do next as you browse. Notification Bar. Notifications in Internet Explorer 9 allow for more fluid and faster browsing. Instead of dialog boxes popping up unexpectedly and getting in your way, all notification messages are consolidated in the Notification Bar, located at the bottom of the browser frame. Pinned Sites. With Pinned Sites, you can get to your favorite sites directly from the Windows taskbar – without having to open Internet Explorer first. Tear-off tabs. Tear-off tabs make interacting with multiple sites fast and intuitive. Therefore you can rearrange tabs within Internet Explorer 9. Just like you can rearrange icons in the taskbar in Windows 7. Or you can open any tab in a new browser window by dragging that tab to your desktop. Focused on your websites. The navigational controls in Internet Explorer 9 are streamlined and simplified. The back button is larger, the address bar and search box are combined into one new address bar. Also the multiple menus from previous versions of Internet Explorer are consolidated into a single menu. Domain highlighting. With domain highlighting, Internet Explorer 9 lets you see the true web address at a glance by highlighting the domain name in the address bar. Consequently, it easier for you to identify the sites you visit. Internet Explorer 9 requires Windows 7 (x86 or x64) or Windows Vista SP2 (x86 or x64). PeaceKeeper test : 1.657 points, the last version of Chrome have 2.674 points. Really. really fast. This 1 will be the main browser. Nice one. anyone else experience a font change in windows mail in windows 7 after installing this? Green browser along with IE rocks.